Choose any of the FORM videos above to watch, by clicking the associated image or headline. These results are drawn from the library of videos produced here at Market News Video, that have been tagged by an editor with the form symbol. The date of each video is listed underneath the headline. Beneath the listing of form videos is a current stock quote for form and performance chart. At the bottom of the page, you will find related articles mentioning form. 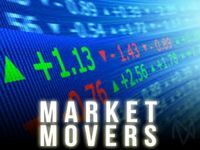 From all of us here at Market News Video, we hope you will enjoy these form videos and articles.